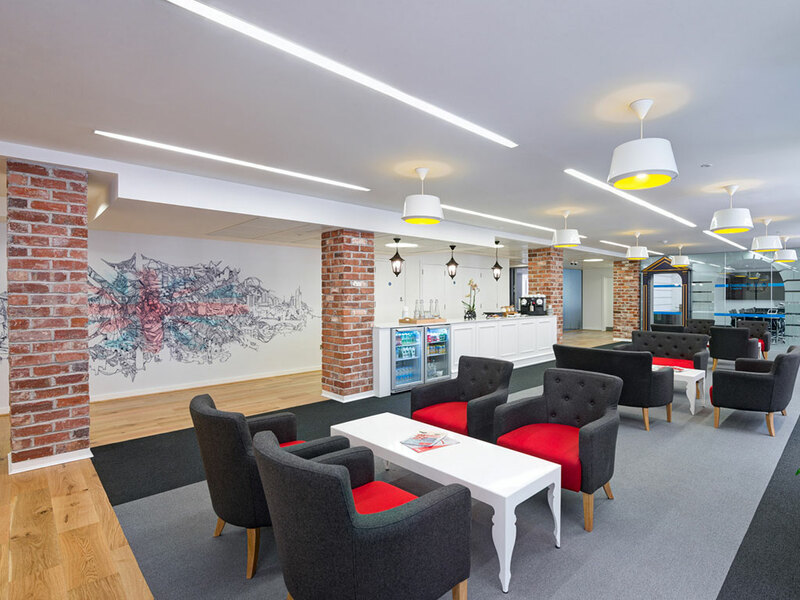 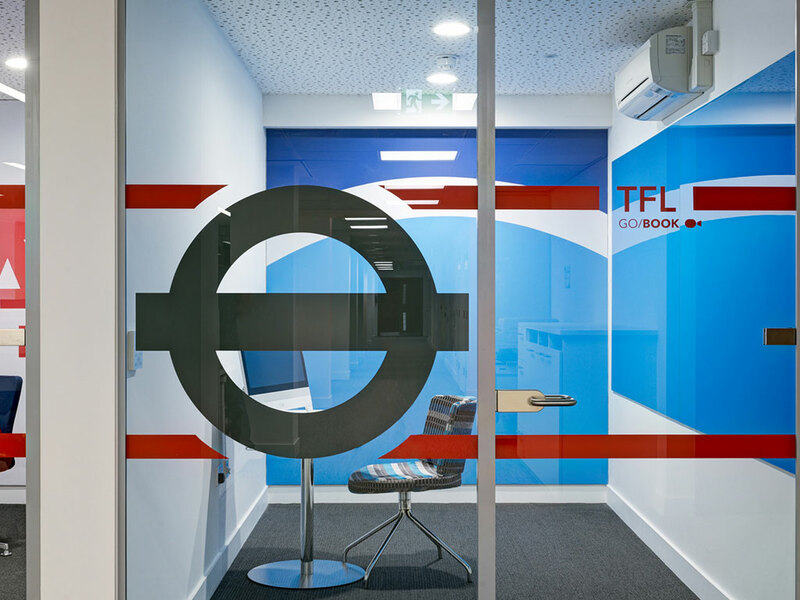 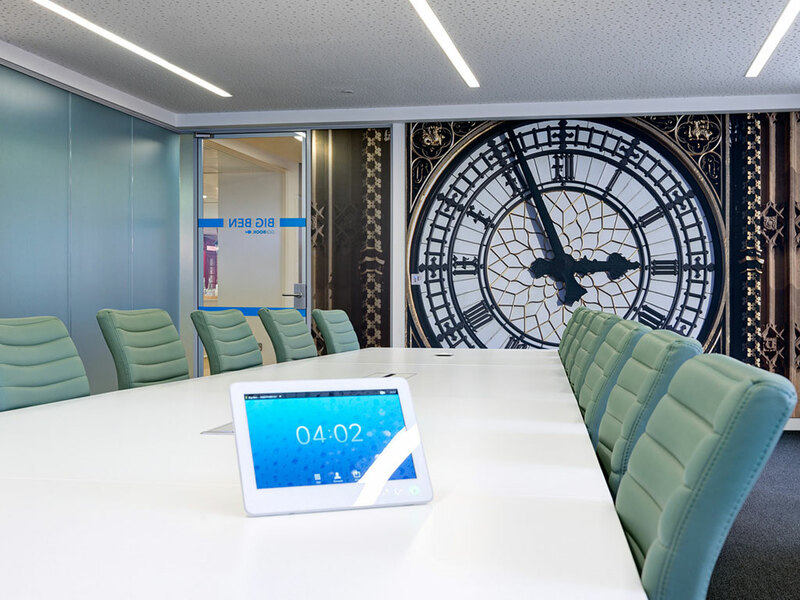 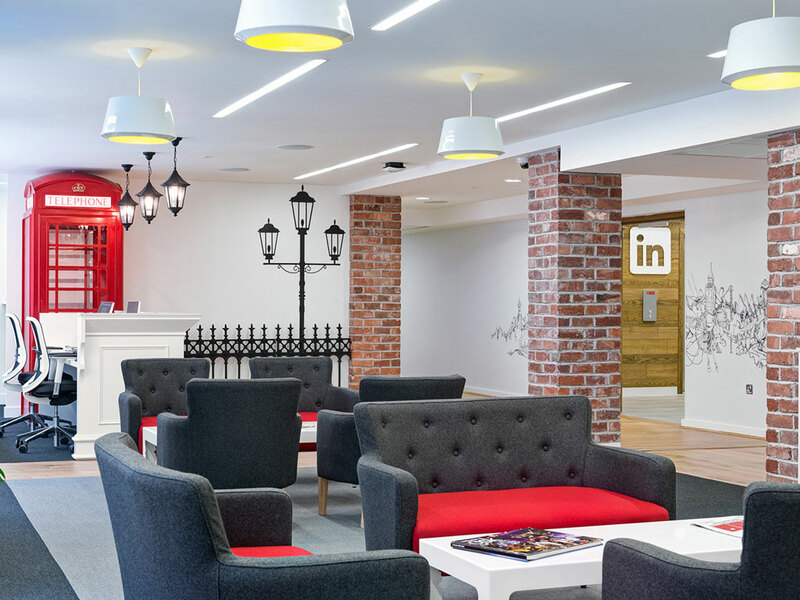 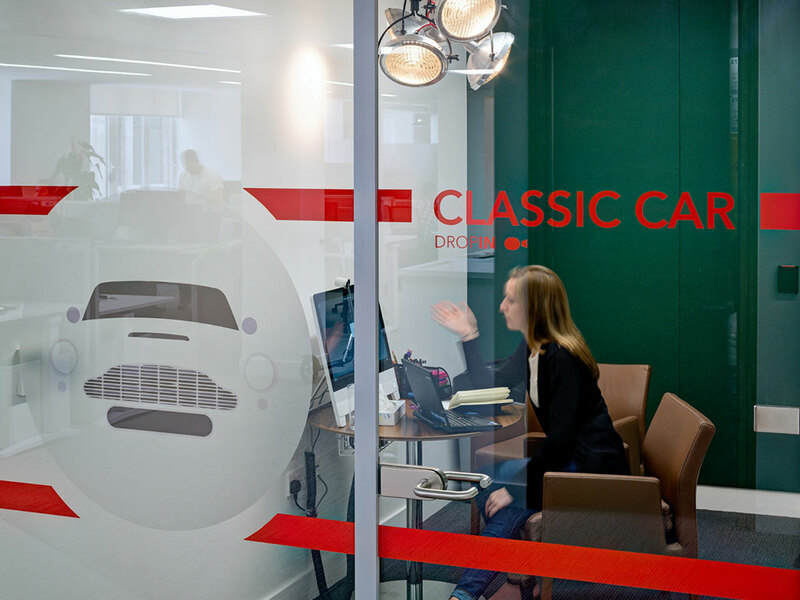 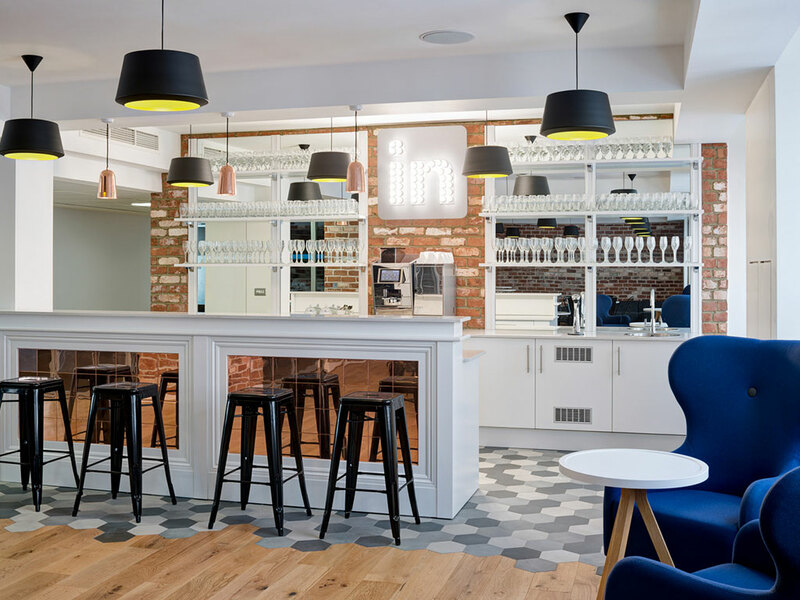 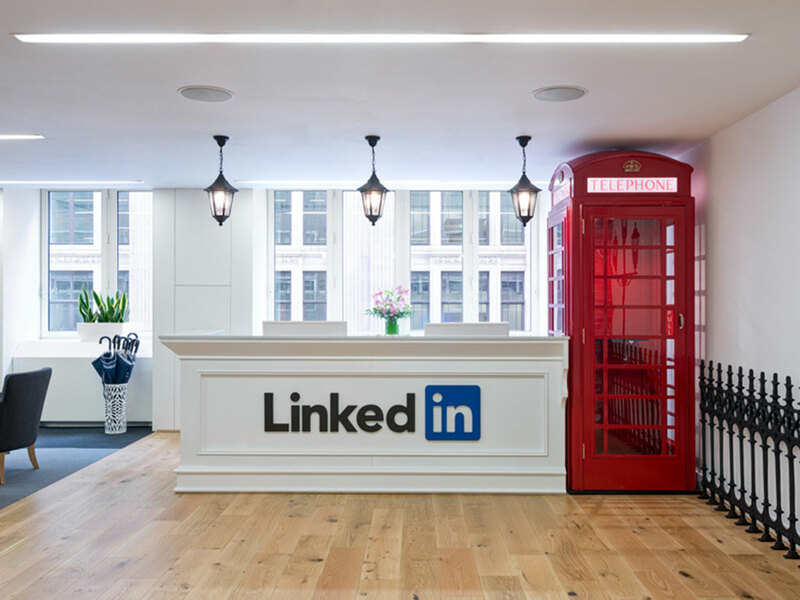 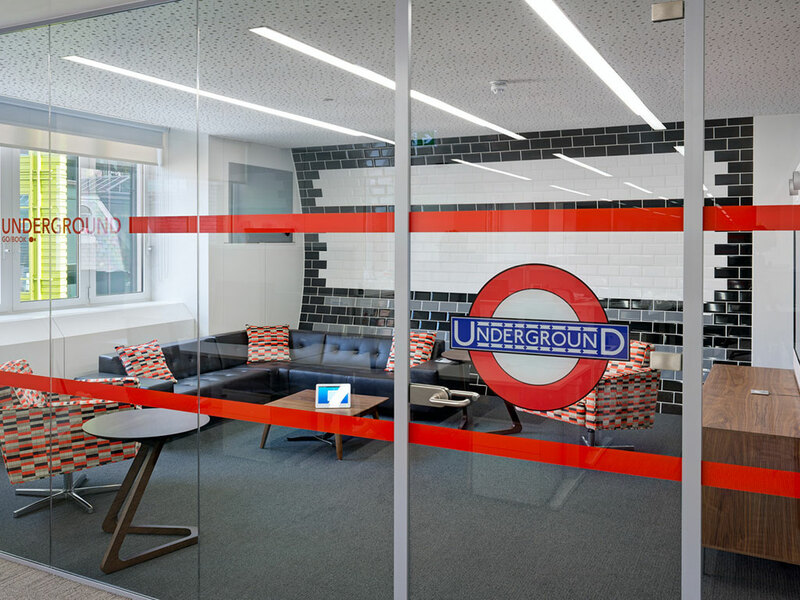 Linkedin's new London office suite decided on using our Olde Victorian Red blend brick slips in their recent renovation. 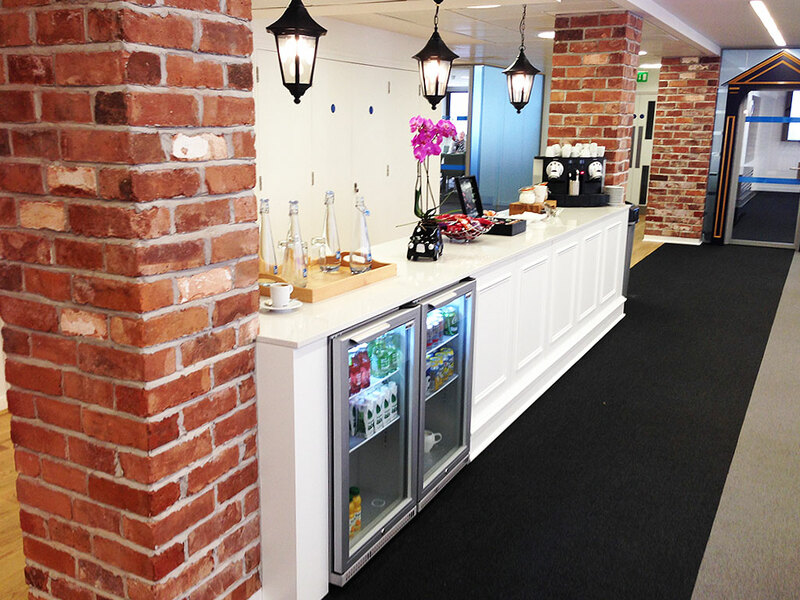 Large pillars were created throughout to give the feeing of history, the pillars were clad with both slips and corner slips, simple cladding systems of just slips and corners offer the best way of creating the illusion of a structure that has been around for some time without all the mess of building a full brick wall or pillar. 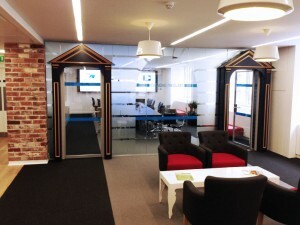 The pillars draw you into the designers mind like no other structure within the office. 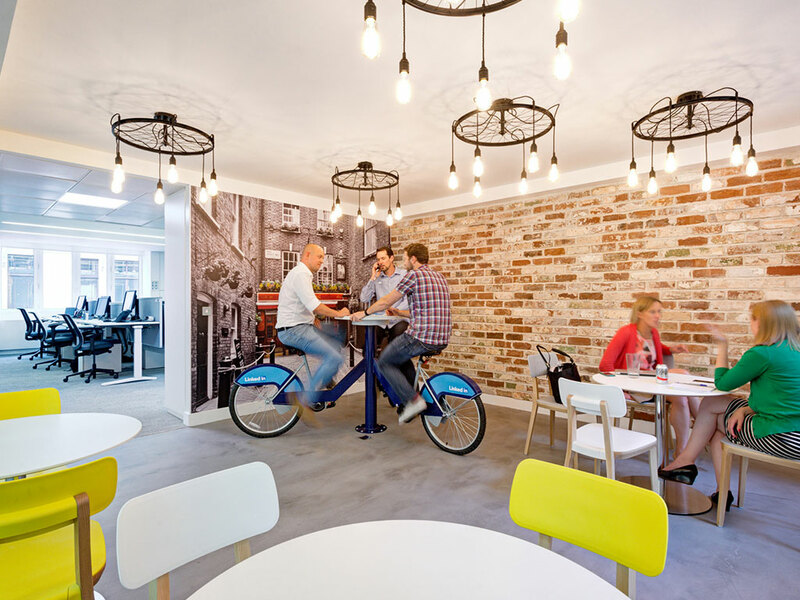 Breaking the space and creating a skeletal back bone that strikes through the office space.